We Are Hosting Another Game Jam! Come join us for the 2nd annual Indie Speed Run Game Jam (starting 18:30 Sept. 13th - 15th)! What is that you might ask? Well, that means that we collaborate with others and make a game in just 48 hours! Sounds crazy but it is a lot of fun. We will be hosting the jam at our offices in Pannonia utca 11 Budapest, Hungary. We invite anyone that is interested in potentially making a game in 48 hours with us, even if you have no experience. This is a learning environment for everyone that is interested in video games. This game jam is a bit different and will judged by "celebrity judges" in the games industry! Because this requires a collaborative effort from many people, Indie Speed Run requires a cost of $25 per TEAM that enters (you can have up to 4 people on your team during the jam). This time around there will even be a chance to get some cash prizes if your team wins! 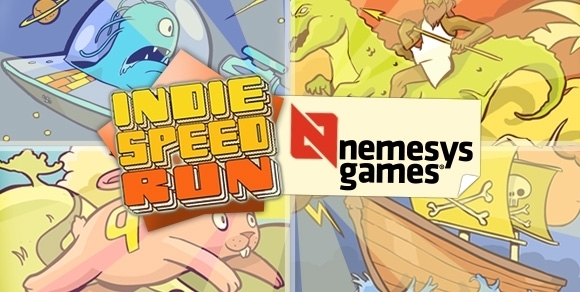 If you are looking to participate, please email us at: pr@nemesys.hu with "indie speed run" in the subject. We will get back to you with more information and confirmation about you coming. We look forward to meeting you all (again) in September!